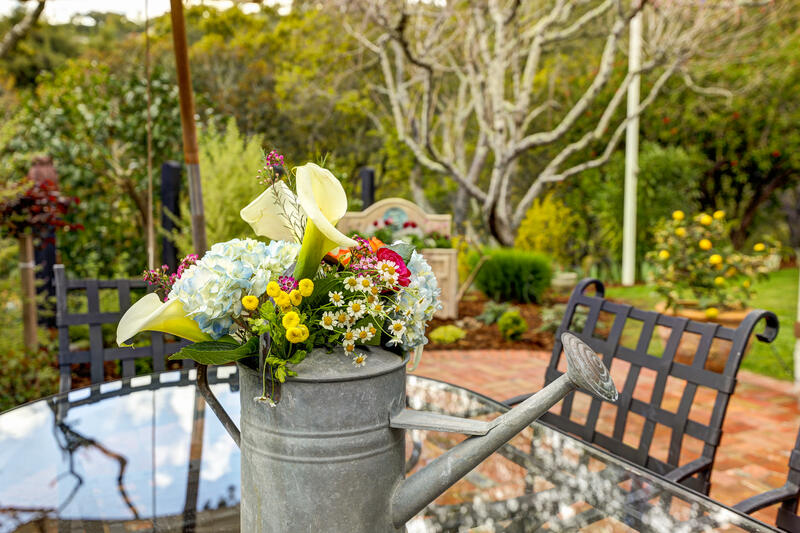 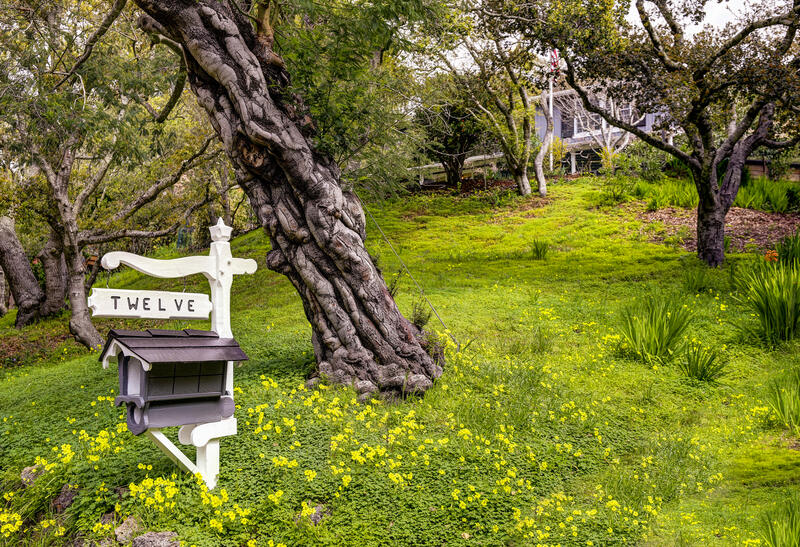 A true Gardener’s Delight in a rare Mill Valley Country Club location, seconds from the 9th Fairway. 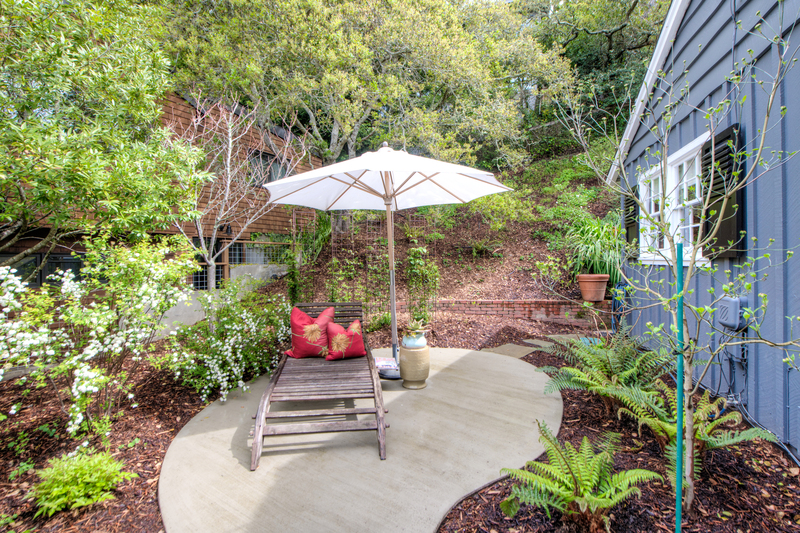 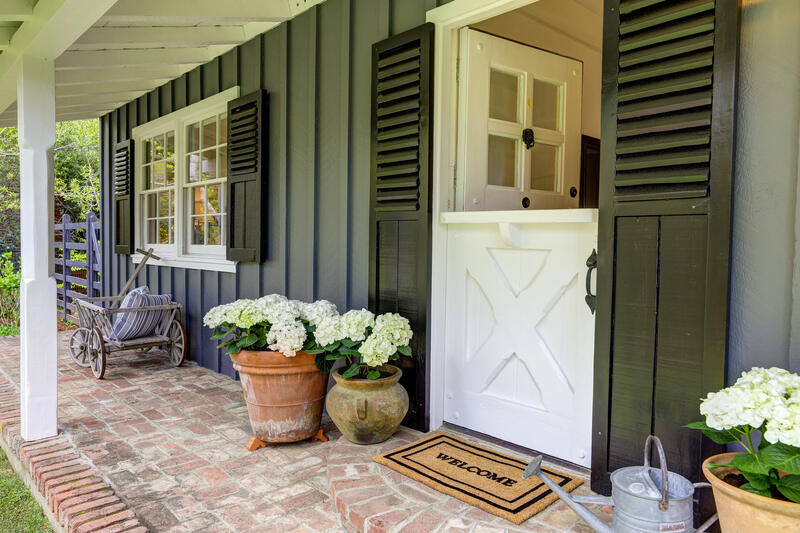 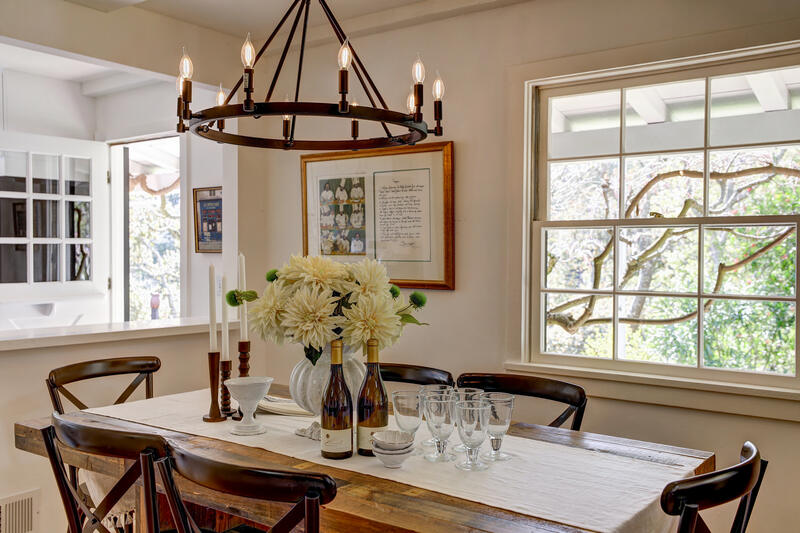 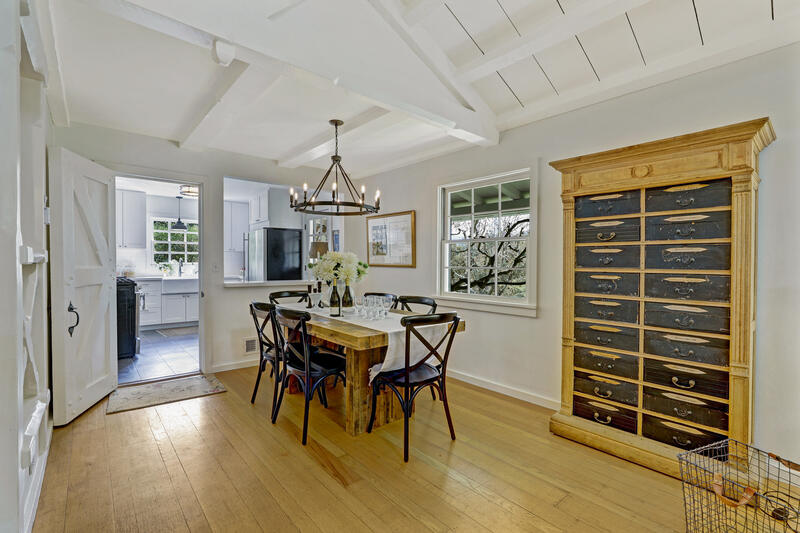 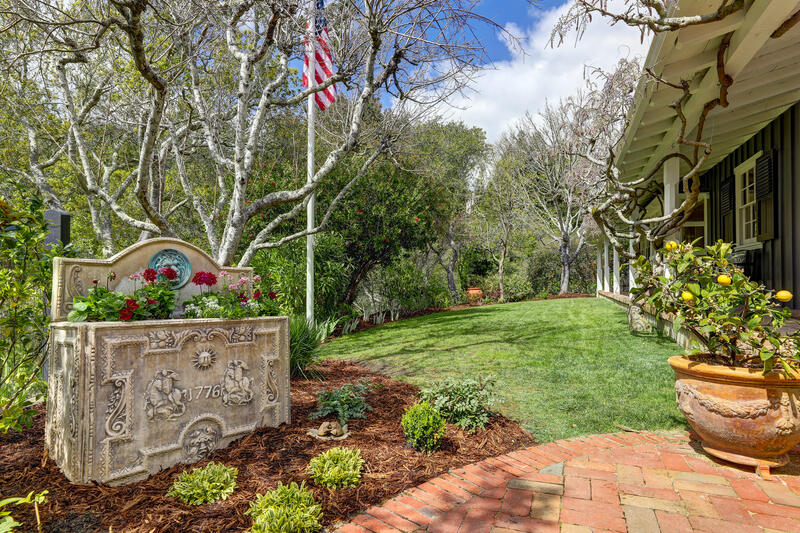 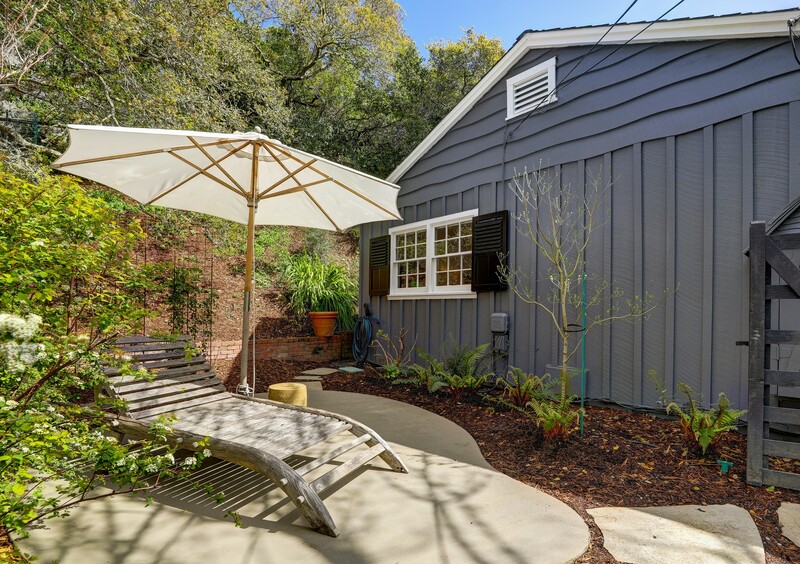 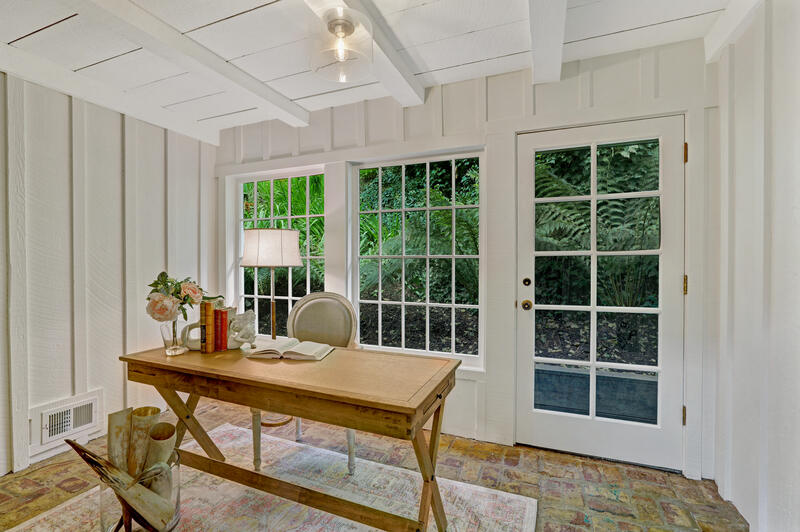 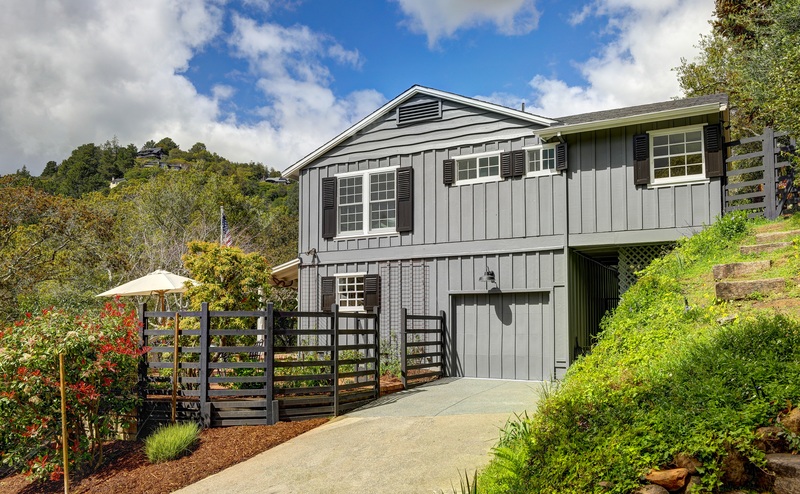 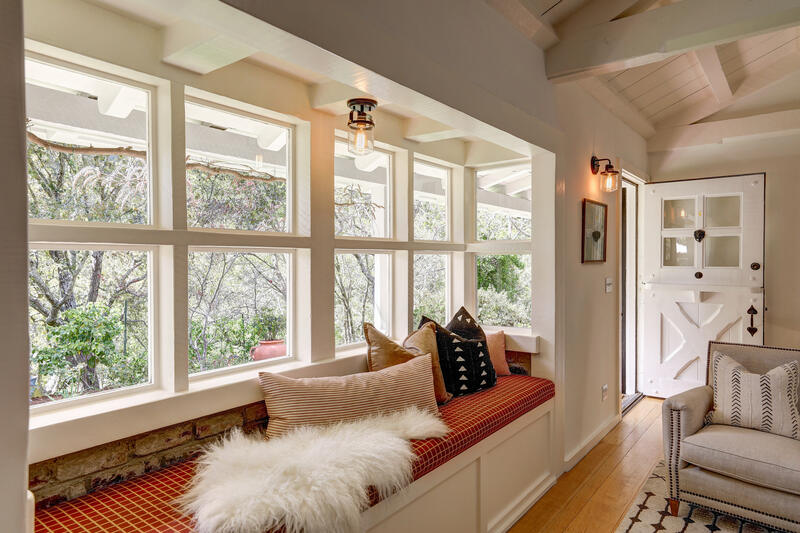 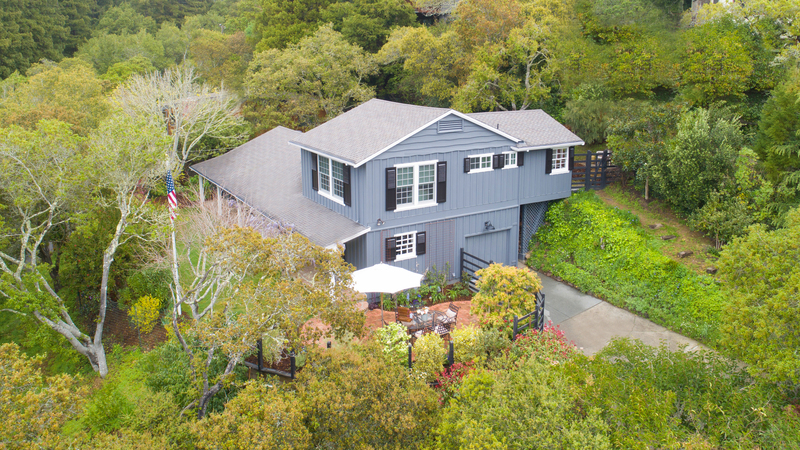 This 4-bedroom plus office and 2-bath Farmhouse-style home, designed by notable Mill Valley builder Gus Costigan of El Paseo fame, has an easy indoor-outdoor flow with a front porch for those lazy, sunny, summer afternoons. 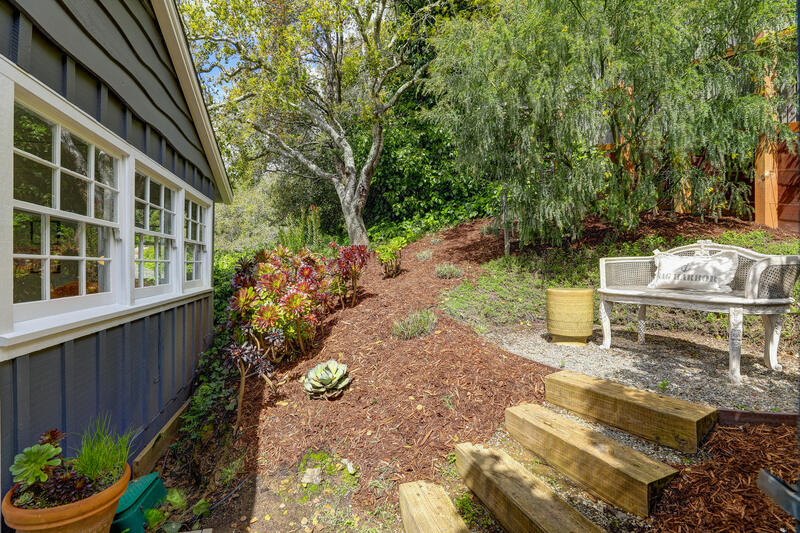 In approximately 2016 a beautiful, private, fully-fenced landscaped garden with south/western exposure was created. 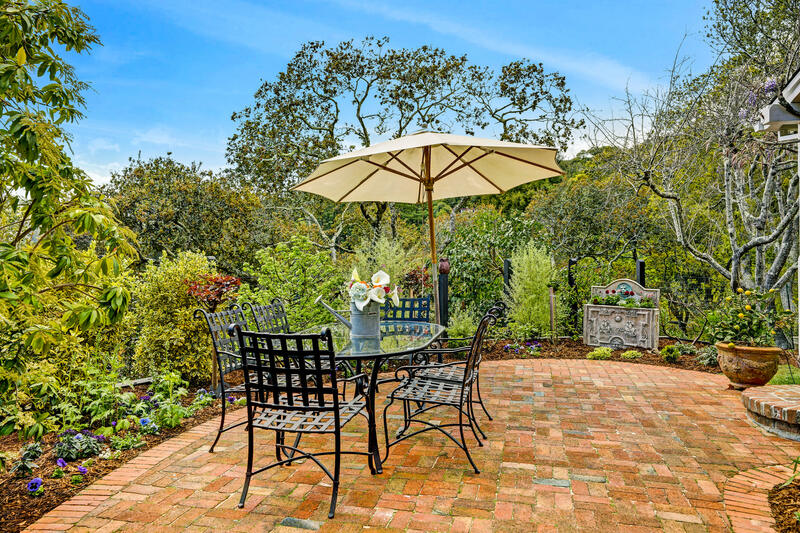 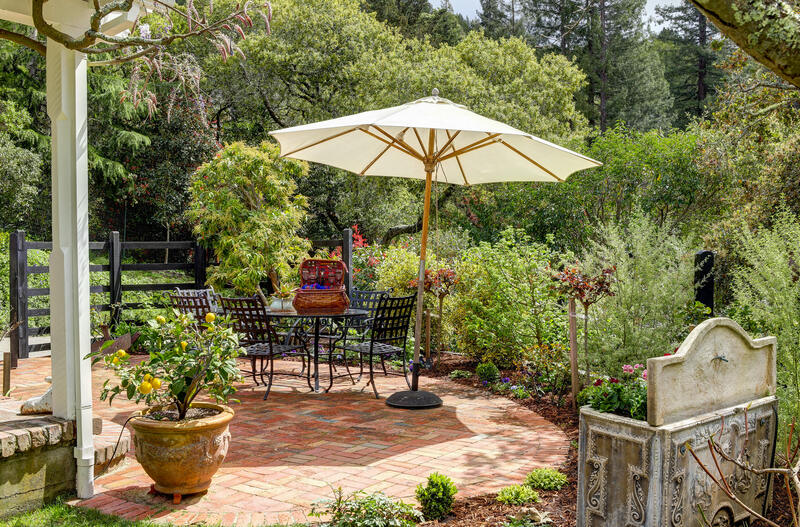 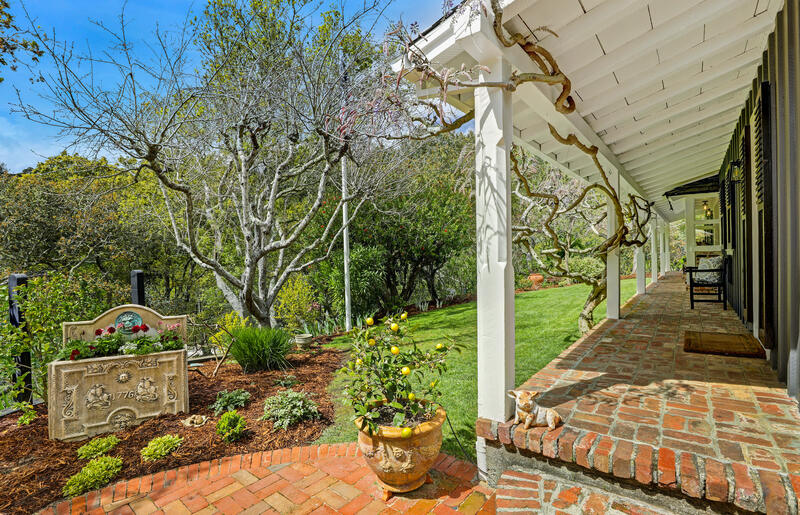 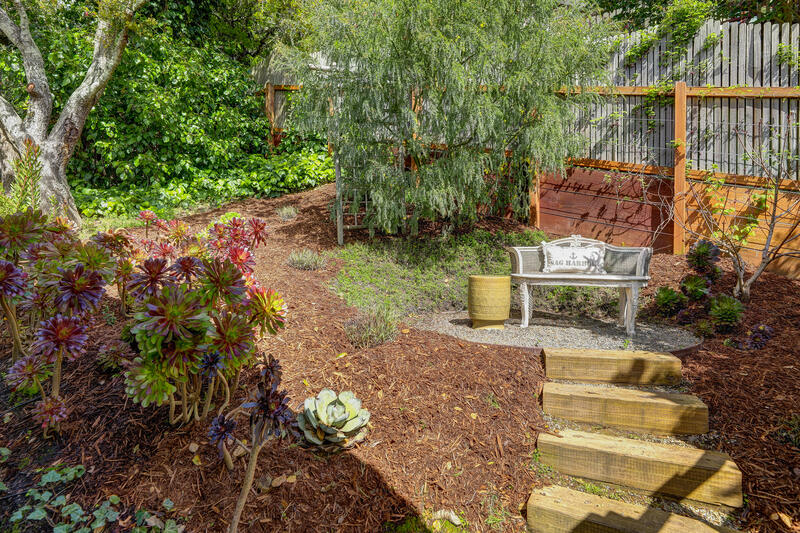 With a brick patio on one side and a custom designed concrete patio on the other, and in between a lovely, level front lawn surrounded by wisteria, roses, hydrangea, and trumpet vines. 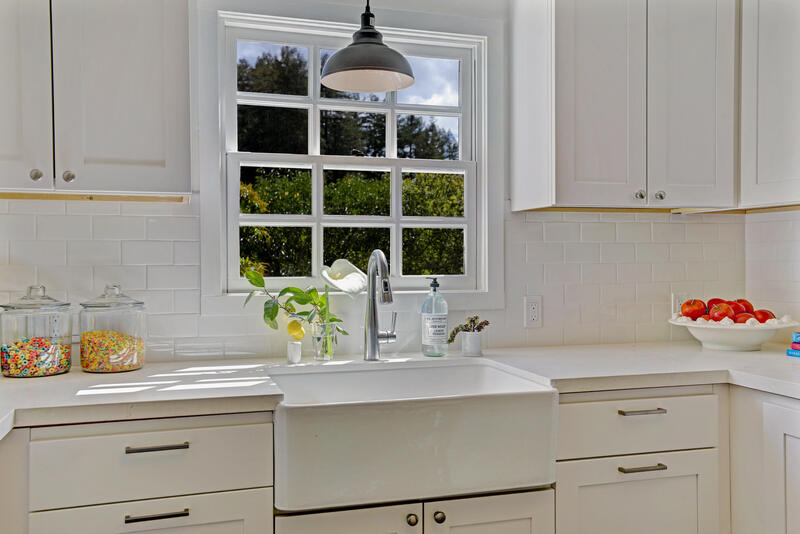 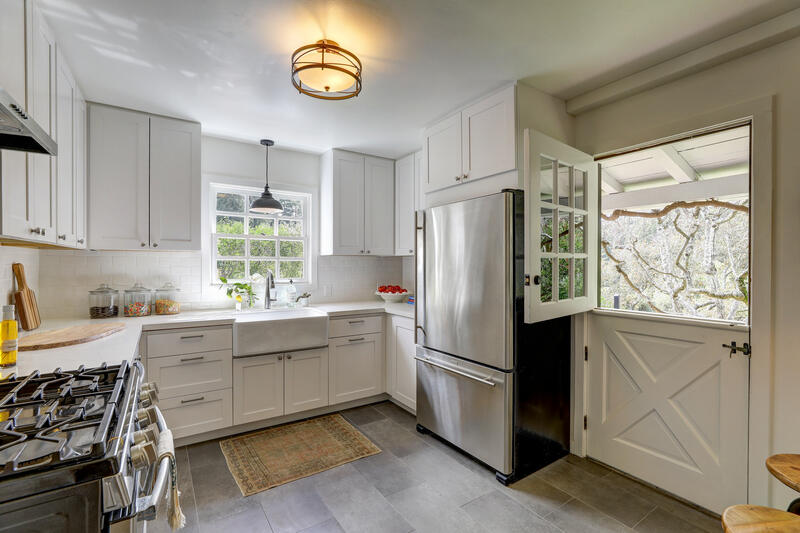 The kitchen was fully remodeled in 2019 with new cabinets, farmhouse sink, subway tile, quartz counter tops, stone tile floor, gas range, breakfast bar, and new light fixtures. 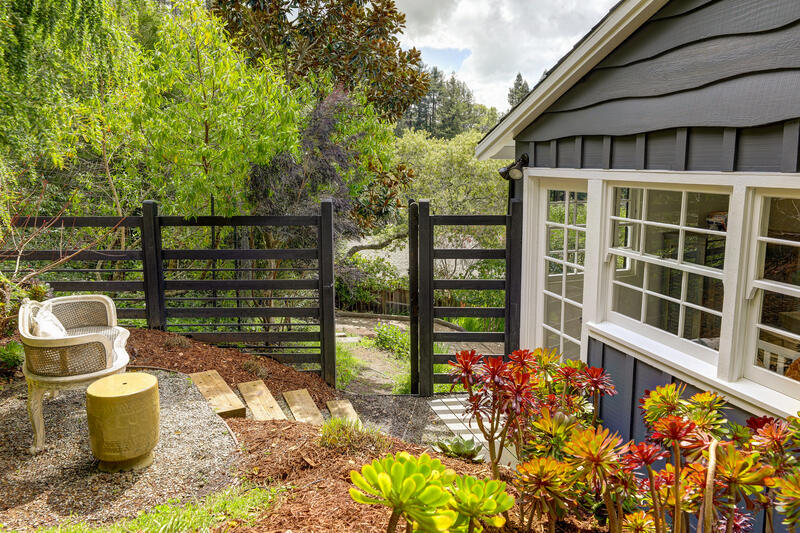 From the kitchen, a Dutch-door opens out to the very sweet garden. 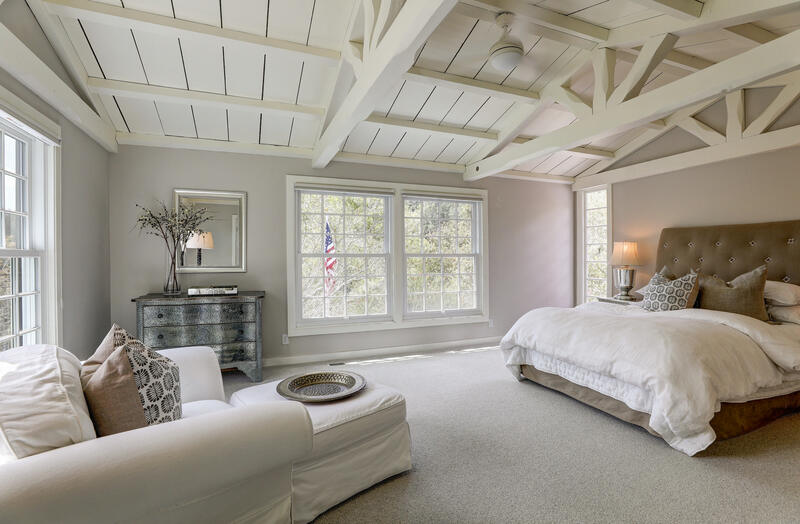 The living room and master bedroom feature vaulted ceilings which create a wonderful open feeling. 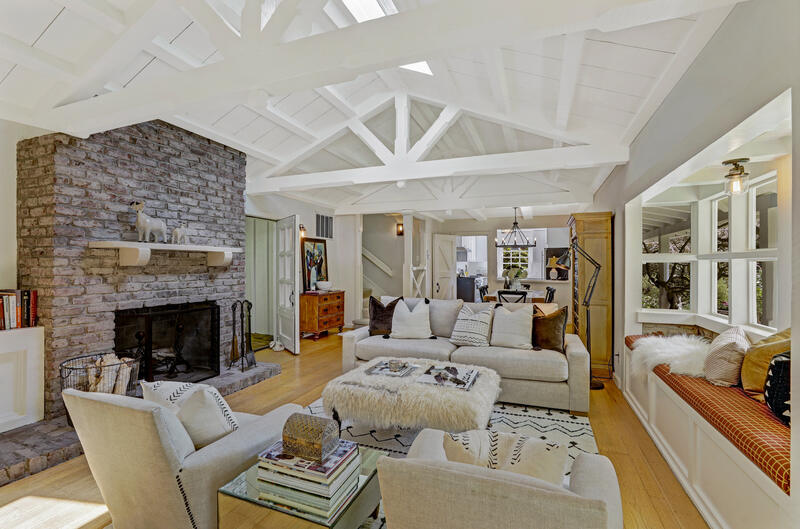 Among other rustic touches, the commanding fireplace in the living room is like the “Grande Dame” with white-washed bricks from floor to ceiling. 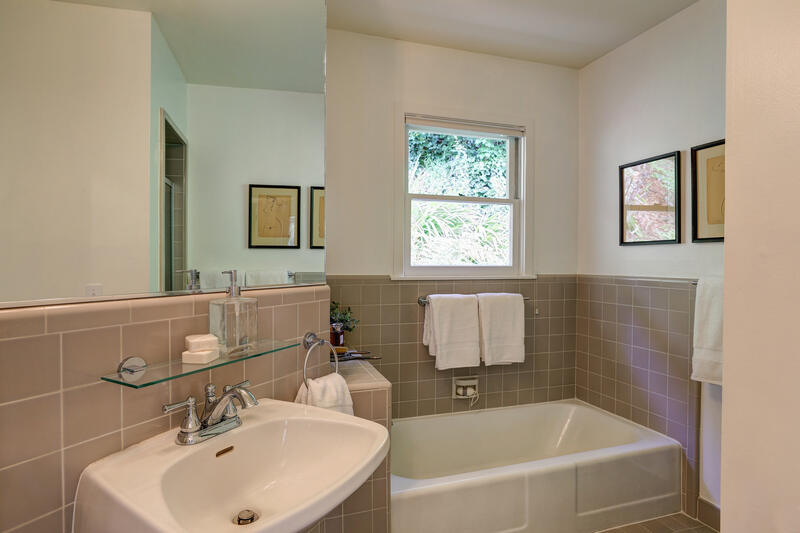 On the main level are 2 bedrooms, a full bath, and separate den/office. 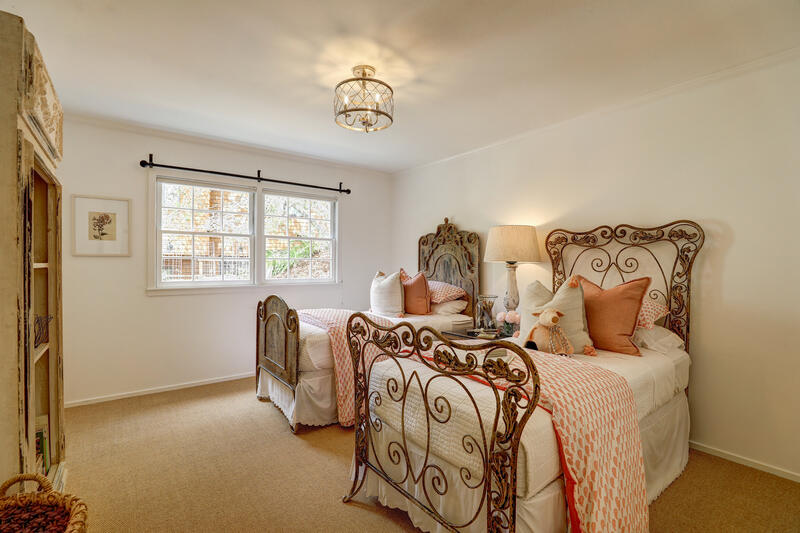 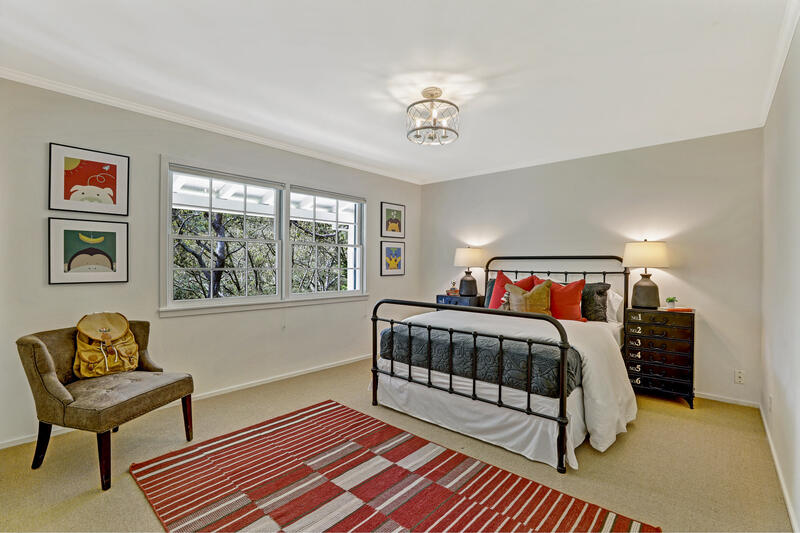 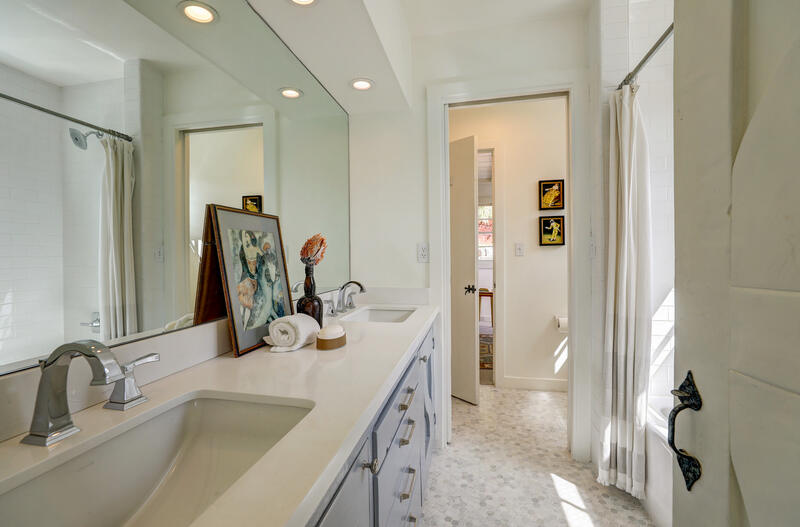 Upstairs is the spacious master bedroom and bath, as well as a fourth bedroom with a glass-paned door which leads out to a private outdoor sitting area with valley views. 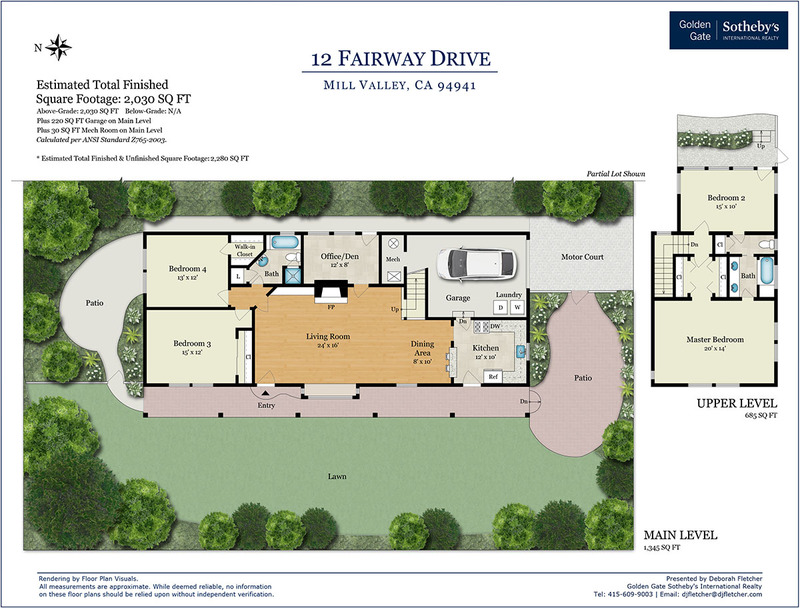 An attached 1-car garage with laundry offers convenient access to the kitchen. 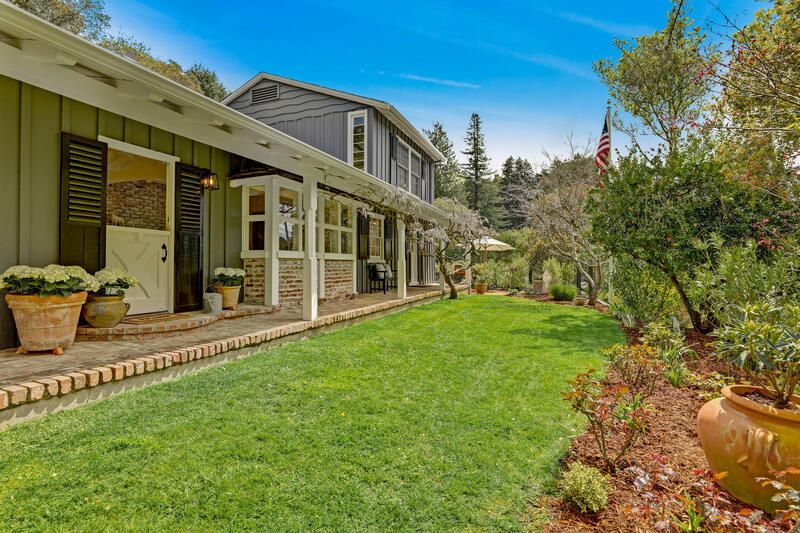 This very charming, private property is close to town, schools, parks, open space, shopping, dining, tennis, and the golf course. 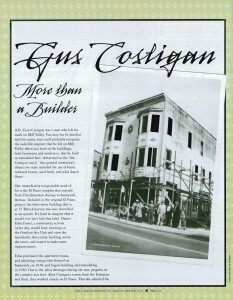 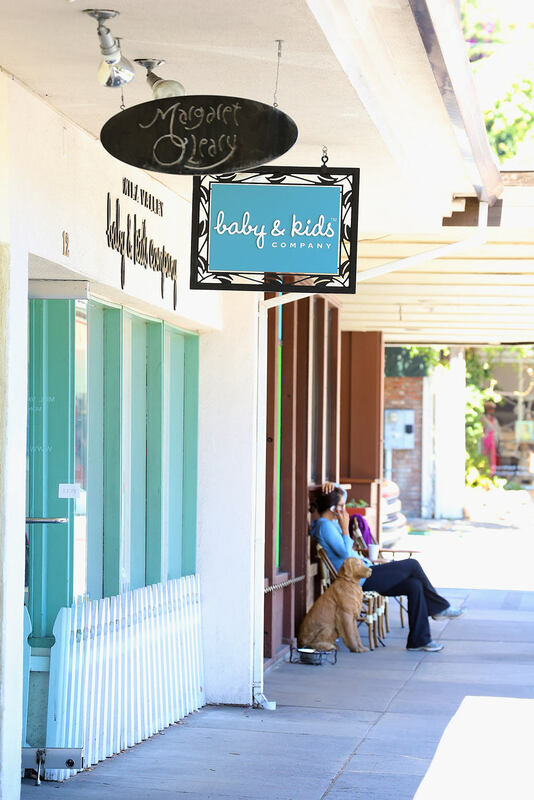 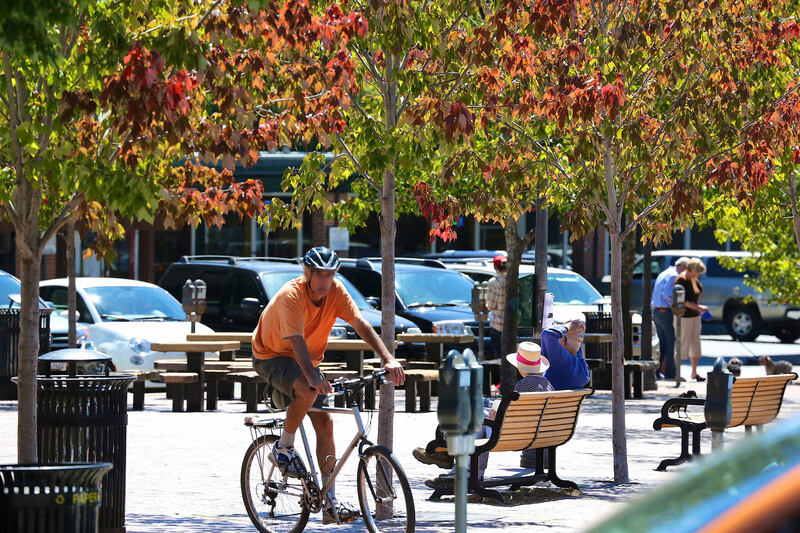 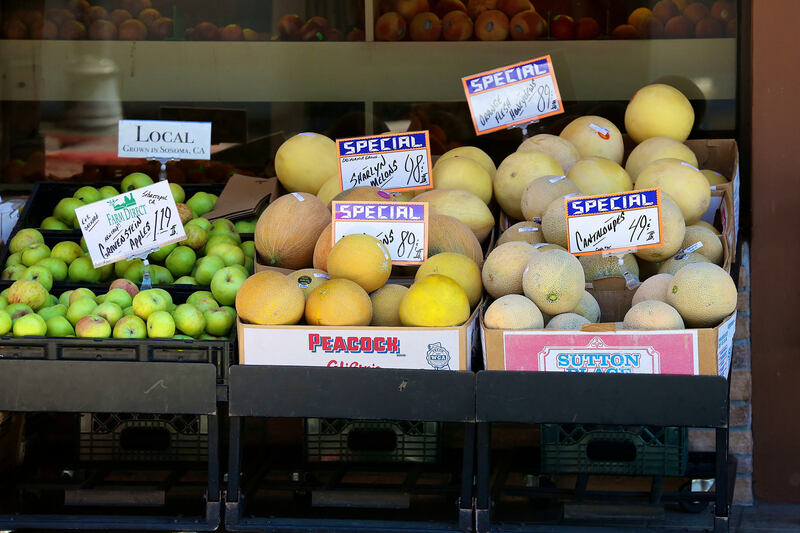 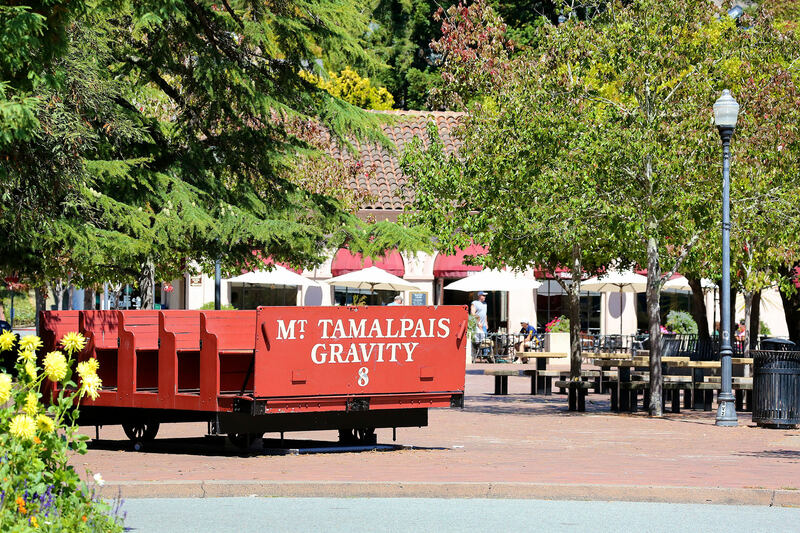 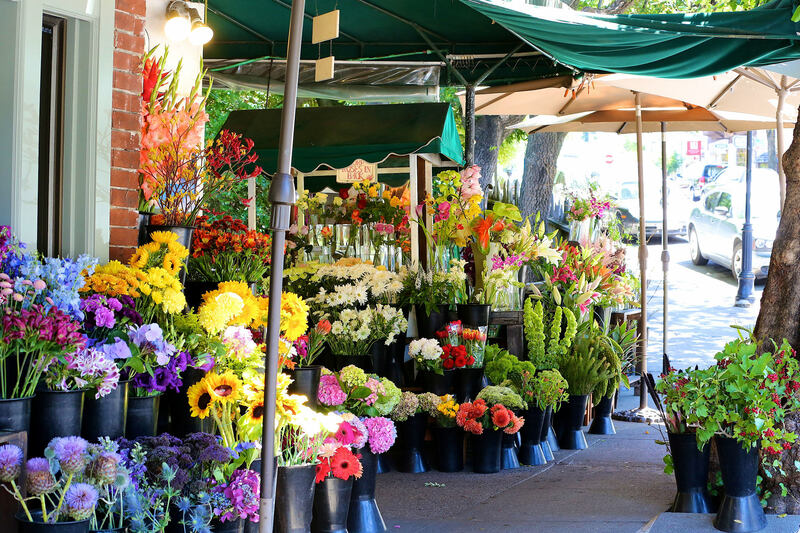 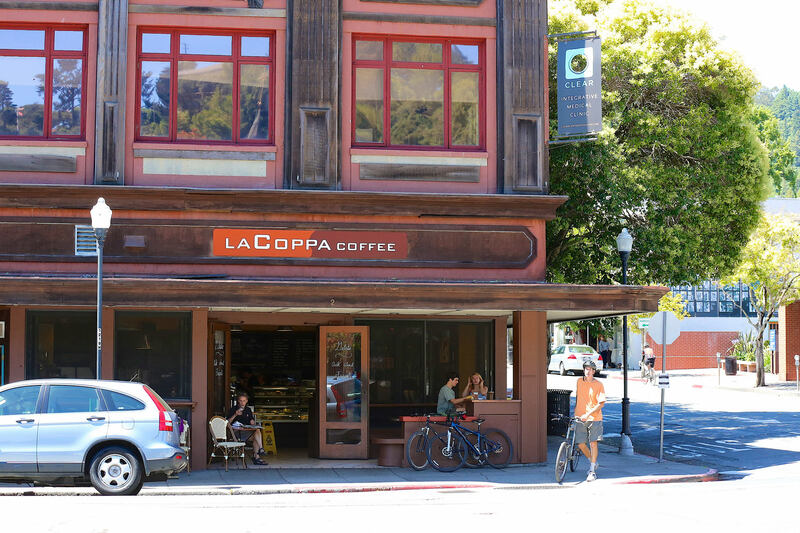 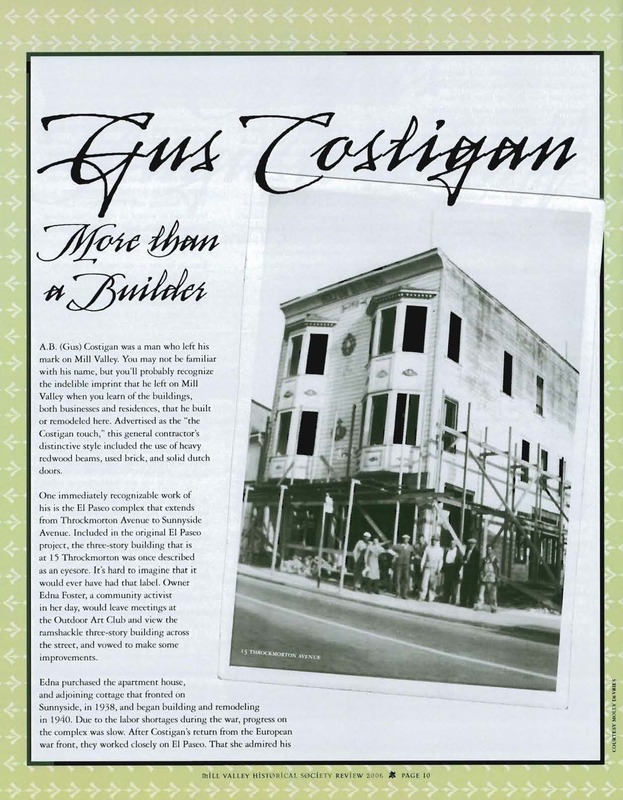 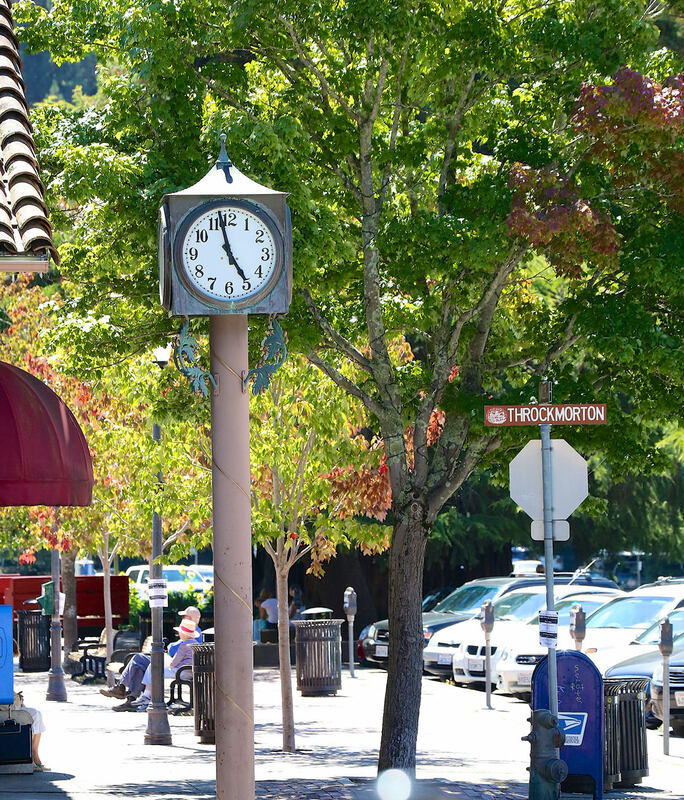 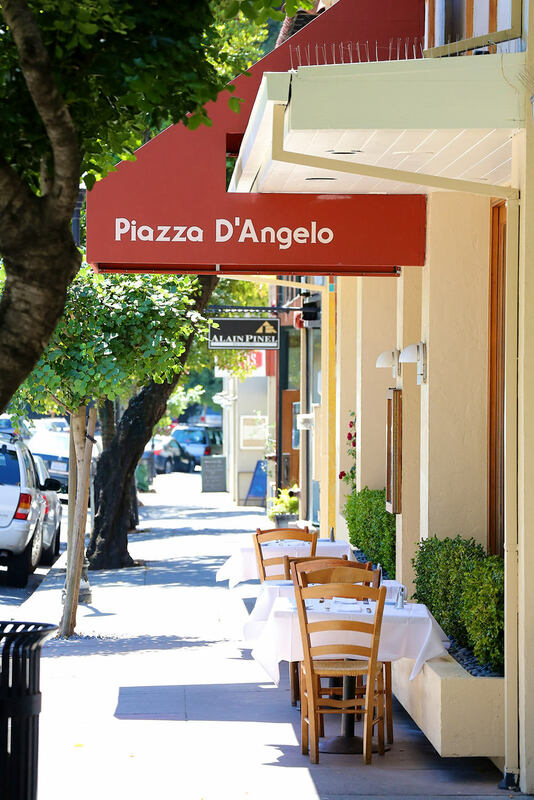 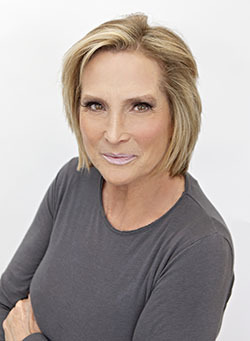 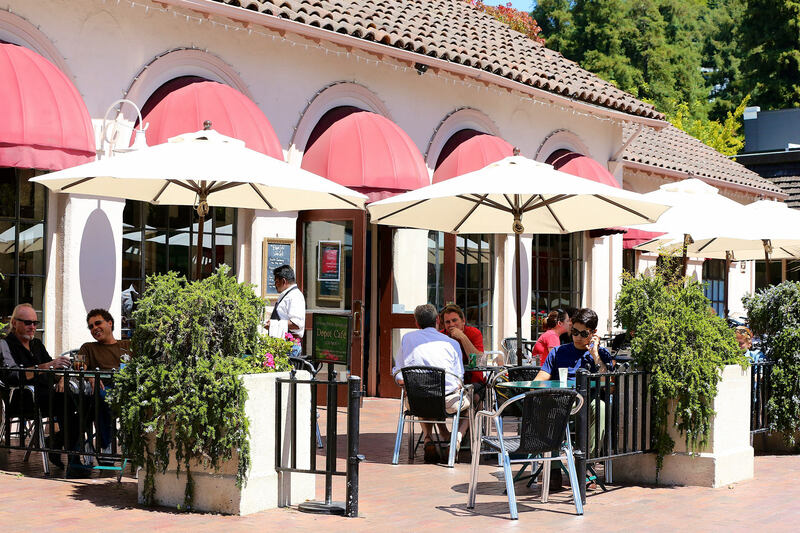 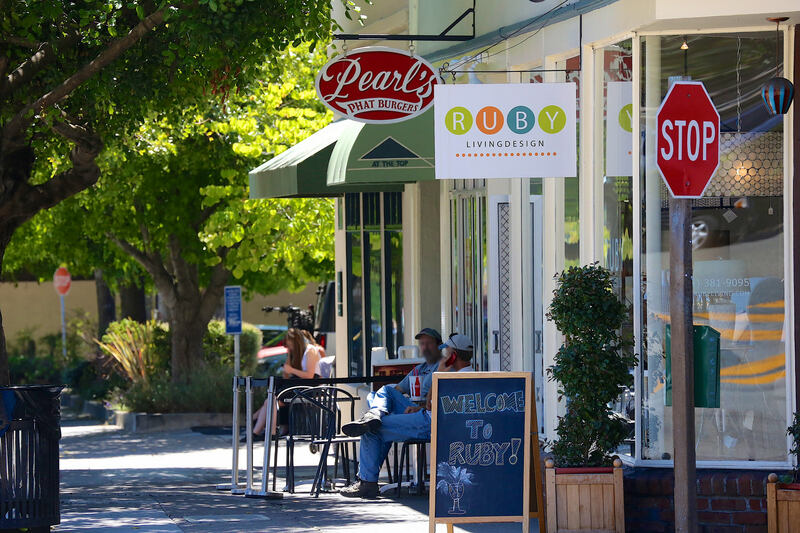 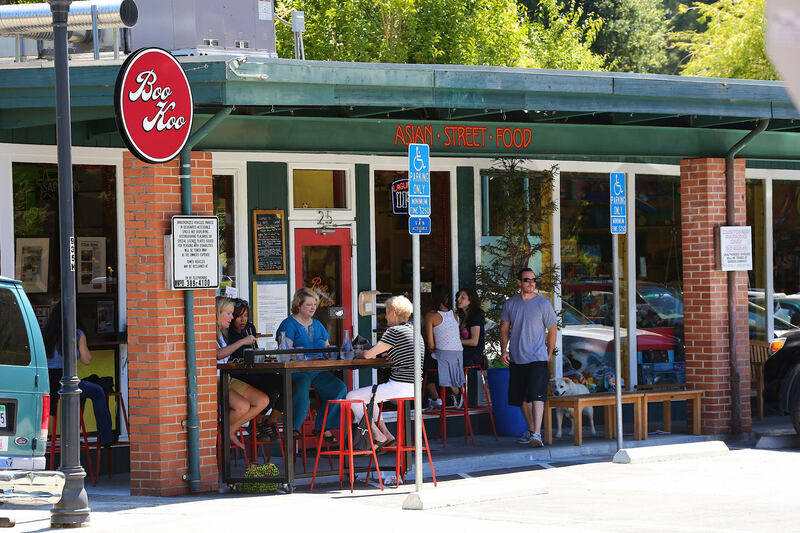 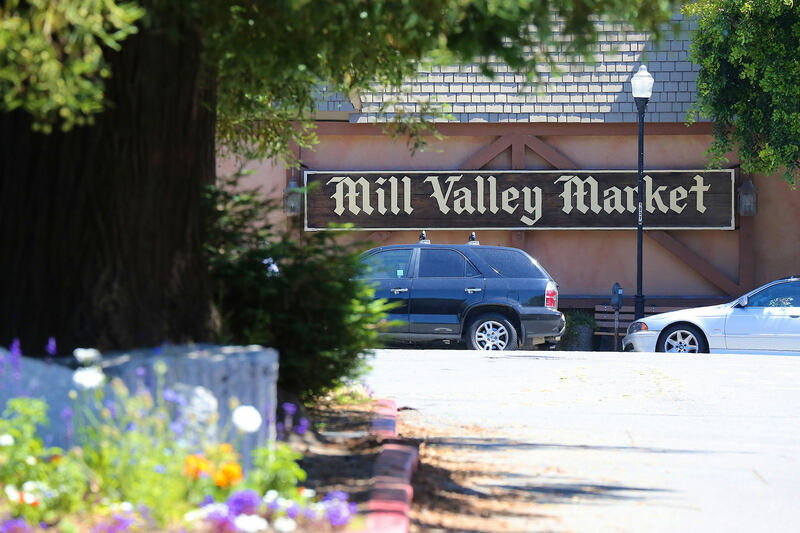 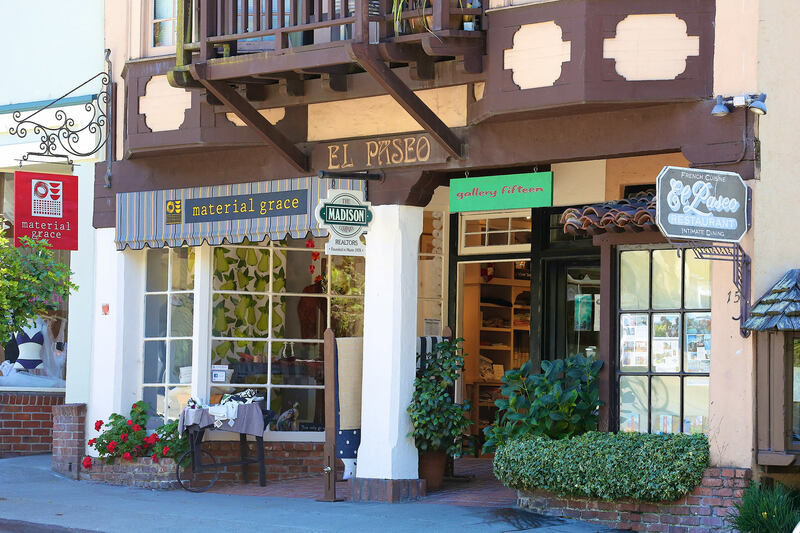 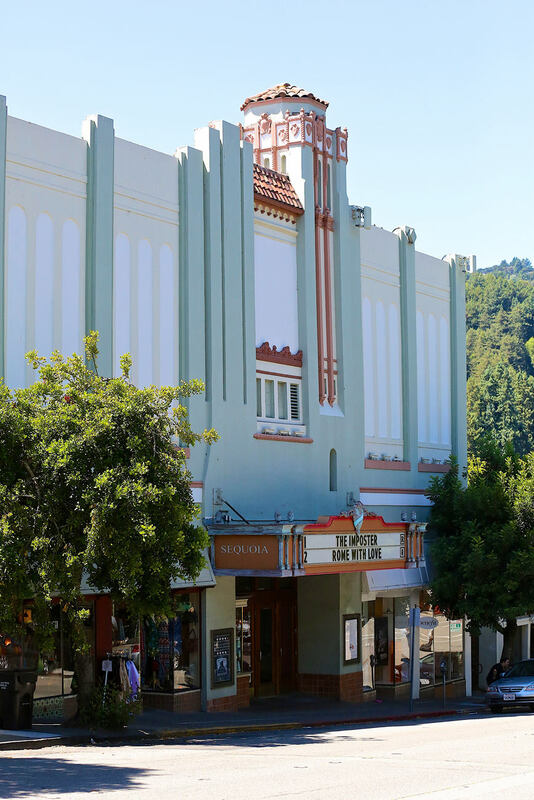 Gus Costigan built El Paseo restaurant and the Mill Valley Record's office among other downtown businesses and homes, contributing to Mill Valley's distinctive village architecture. 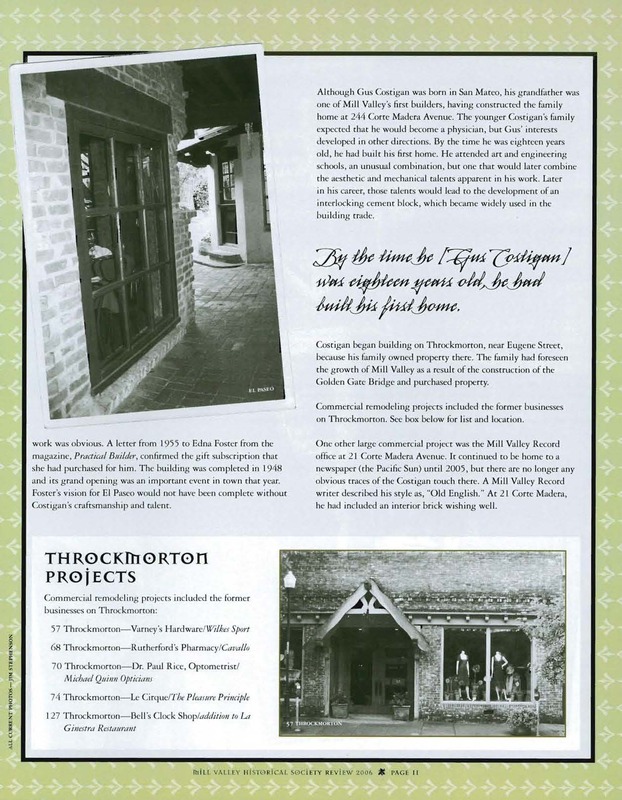 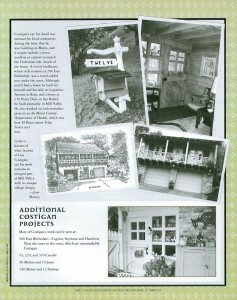 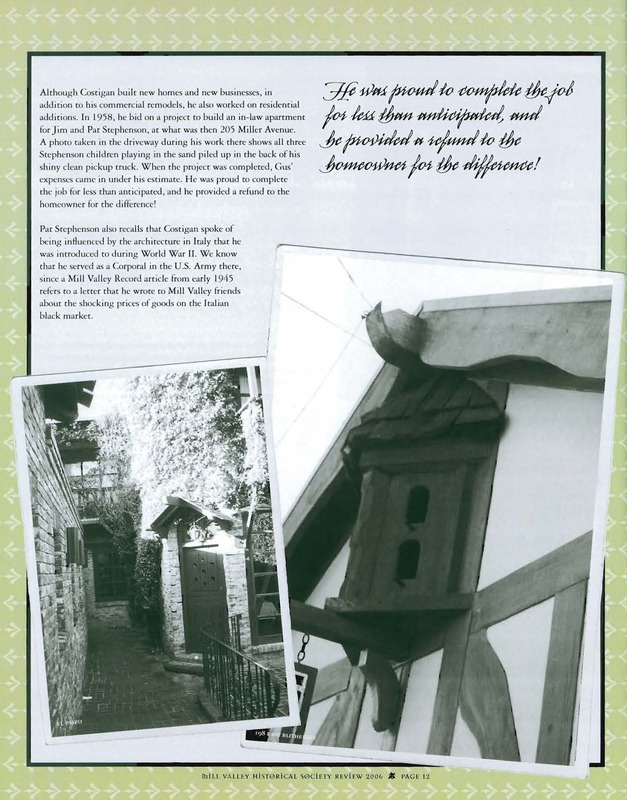 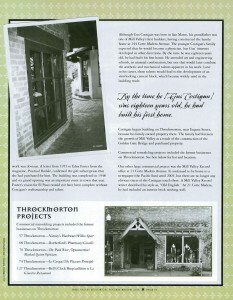 The use of unique materials such as "old adobe bricks from Mexico, wooden beams from Fort Cronkite, railroad ties and spikes from the [Mill Valley] Mountain Railroad, and hand-made tiles and wrought-iron fixtures from the Guatemalan exhibit at the 1939 World's Fair on Treasure Island" defined the "Costigan touch," many elements of which are still evident at 12 Fairway Drive including vintage brickwork, wooden plank floors, heavy Dutch doors and ceiling beams, wrought-iron fixtures, and the signature mailbox.